Wij mochten hem verleden jaar bij de FIR conferentie in Praag ontmoeten. Pavel, een optimist in de strijd tegen fascisme. Een man uit een stuk, een held. 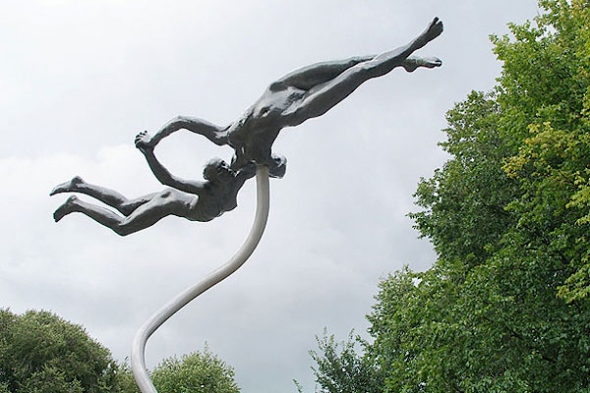 Zie hieronder in het bericht van de FIR op welke fronten hij tegen het fascisme heeft gevochten. Hij deelt zijn sterfdag met Diny Klatser, de weduwe van Leo Klatser (oud Spanje strijder ) en voorzitter van het Nederlands Spanje Komite. Zij is toevallig ook afgelopen weekend op hoge leeftijd overleden. Laten we deze beide strijdbare kameraden herdenken en nooit vergeten waar zij als anti-fascisten voor stonden. Vrede tussen alle volkeren en meer democratie voor alle werkenden, nooit meer fascisme! 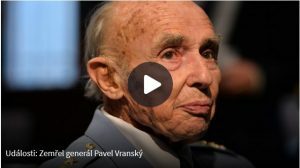 With deep sorrow, it must announce that last Sunday our friend and comrade Pavel Vranský, one of the last Czech witnesses of the fight for the freedom of the country against the fascist occupation, died at the age of 97 years. Pavel Vranský was born in 1924 in a Jewish family in Ostrava. After the occupation of Czechoslovakia in 1939 by the German Wehrmacht, he immigrated to Poland and joined the Czechoslovak Legion. After the fascist raid on Poland in September 1939, he was interned for some time in the Soviet Union, before he joined the 11th Czechoslovak infantry regiment in the Middle East in the early 1940s. There he fought on the British side in the Africa campaign, f. e. in Tobruk. After his training as a pilot, he belonged to the 311st Czechoslovak bomber squadron in the ranks of the RAF. Even after the war, he remained connected to aviation. For many decades, Pavel Vranský worked within the Czech Union of Freedom Fighters (ČSBS) for the historical memory work. The memory of the struggle of the International Brigades in Spain was important to him. 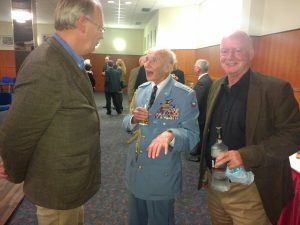 Only a few years ago he organized an international conference on the history of the Czechoslovakian Spain fighters. Several times, he was a delegate of the ČSBS at the regular congresses of the International Federation of Resistance Fighters (FIR) – Association of Anti-Fascists. 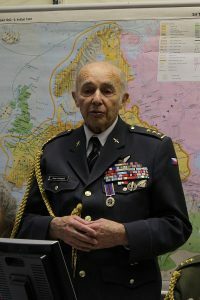 In 2017, he was named Honorary Brigadier by Czech President Zeman in recognition of his activities. Our sympathy is with his wife Anna Vranská and her three daughters. We would also like to express our condolences to the comrades of ČSBS. We will not forget Pavel Vranský.